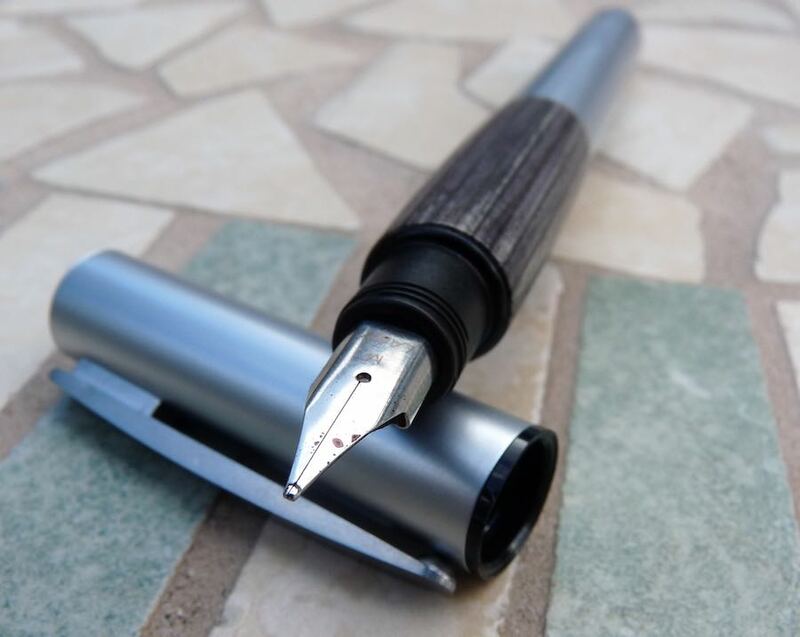 Lamy Accent Fountain Pen Review – Pens! Paper! Pencils! Lamy make a lot of similar looking pens. The Linea, CP1, Logo, Pur, ST and Scala are all variations of slim metal cylinder with identical nibs. The Accent is no exception to this aesthetic, it’s particular schtick being a contrasting grip section. An accent, no less. In this pen’s case, the colour is similar (i.e. grey) but the contrast is in the material – Finnish wood against a palladium barrel. Thank you to Cult Pens for sending me this pen to review. These are my own personal opinions. 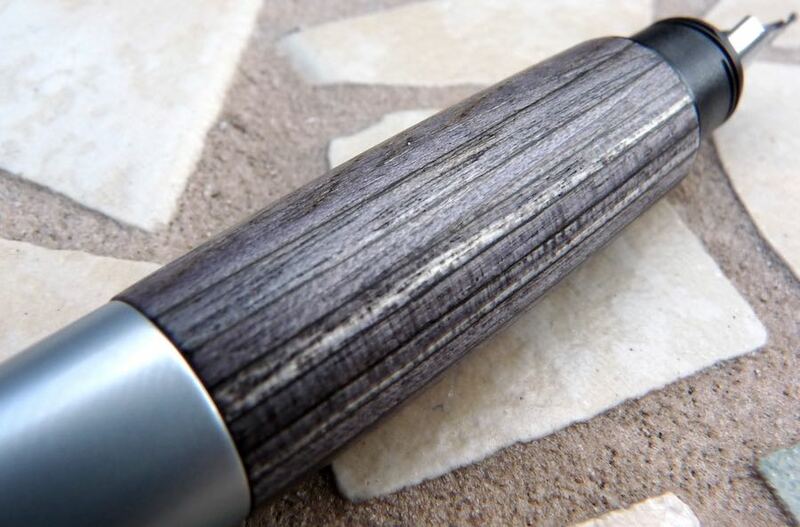 Although this Lamy isn’t drastically different to many other Lamys, it does look good. I wish they would change things up a little more but each pen in isolation looks great. I particularly like the rather 70s vibe that this one has going on. The clip is hinged and so strong and quite clippy. The cap screws closed in just half a turn and pushes onto the end to post. This for me is great: I prefer caps that screw closed but caps that screw on to post and then don’t line up with the nib drive me bonkers. It pushes on with a click and so won’t come off and you can line the clip on anyway you like. I do keep forgetting which is which though, and try to push it on to close or screw it on to post. That’s what I’m like. It’s a very long pen, posted, and a little top heavy, so in most cases you’ll probably want to use it unposted. Lamy nibs are generally pretty good and this medium one is no exception. It’s pretty smooth (not buttery smooth but certainly not rough) and has a good flow. I don’t find them to have much character but they get the job done. The included converter holds a reasonable amount of ink and is smooth in operation. Cartridges are restricted to Lamy’s own but they offer the standard colours and are well-behaved. When I first received the pen I was worried about staining the wood when refilling but it’s made in such a way that this part slips off when you take the pen apart, thus avoiding that potential issue. Unposted, the Accent is a good length and a light weight. The wooden grip tips the balance towards the nib end of the pen just a little. The barrel is slender but the hard wooden section bulges and, for me, is quite uncomfortable to hold. 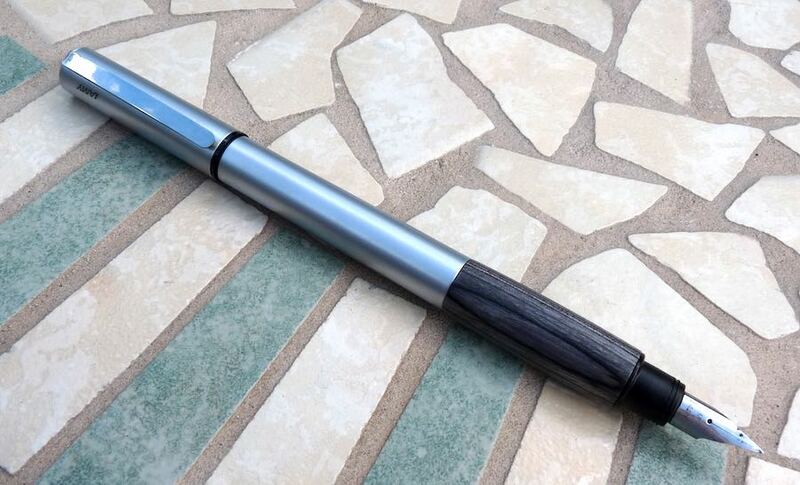 I wouldn’t want to write for long periods with this pen. I imagine the version with the rubber grip could be a lot better. Thank you once again to Cult Pens for sending me this pen to review. 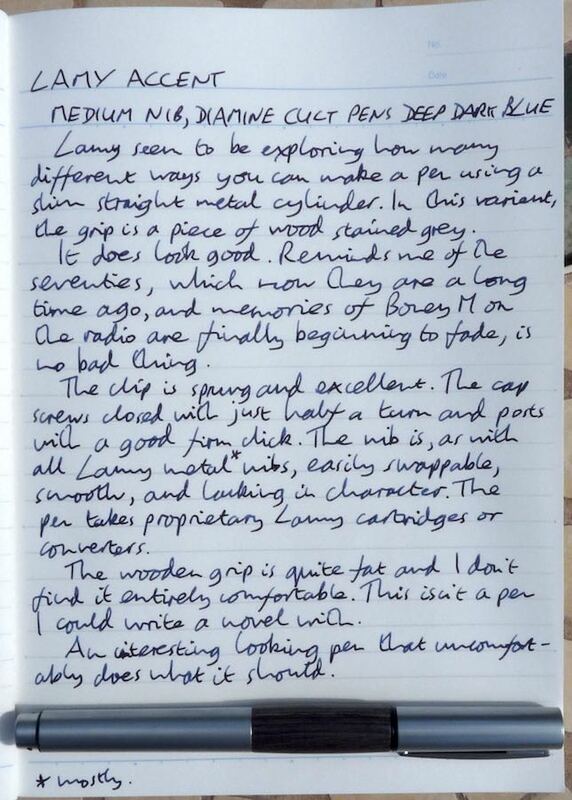 You can find some more reviews of the Lamy Accent on Pennaquod. I have the upmarket versions with black lacquer finish and briarwood or platinum-ringed midsections, and love them to bits. I find the bulgy bit is just right for my hands. The top level ones come with gold nibs and I’ve really enjoyed writing with them – Lamy nibs are always reliable but at their best, and broadest, are just superb. The big advantage of these pens is that you can swap the mid sections round. 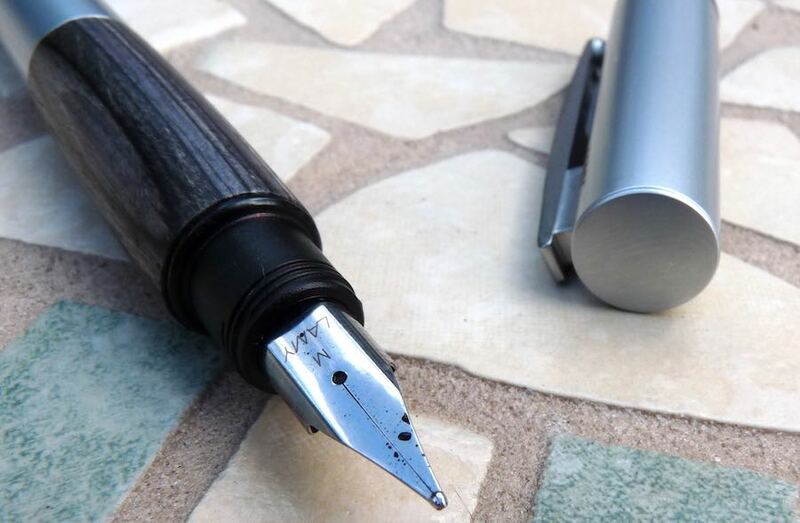 I know Lamy USA used to make the sections available separately, at quite a reasonable price, and it’s a nice concept – the modular fountain pen. I don’t know whether any retailers are doing this, though. Those upmarket ones look fantastic. I think the grip is just going to be great for some and horrid for others. I like the idea of being able to swap the sections around but haven’t seen anywhere that does it. If anyone does know of somewhere, let me know.